You might also need to pay a monthly service charge too, as most shared ownership properties are leaseholds rather than freeholds. Under what circumstances would I want use a shared ownership scheme? Shared ownership is a great idea if you're committed to the idea of buying the perfect house, rather than one that's too small, too old or needs too much renovation work. For instance, you might have your heart set on a property that is brand new, modern and solidly constructed on a new build estate. Unfortunately, the best quality and biggest properties are the most expensive - so expensive, in fact that you might struggle to afford one without a shared ownership scheme or a leg up from the bank of mum and dad. In this case, shared ownership is a great idea and could help you to get your dream home without having to beg money from your family or take on bigger mortgage than you can afford to repay. Is shared ownership better than renting? Shared ownership can be better than renting. If you have enough saved for a small deposit, it might be worth getting on the ladder using shared ownership so that only a percentage of your outgoings are swallowed up in rent, rather than all of it. You can also increase your share of the property at a later date - something that is called 'staircasing' (usually in 10% chunks). You're eligible if you'ree a first time buyer if your household income is £80,000 a year or less (or £90,000 or less in London). Remember that not all mortgages are eligible for shared ownership, so you'll need to talk to an independent broker and see what your options are. It's also important to understand the distinction between a shared ownership scheme and a shared equity scheme, so read up on both! 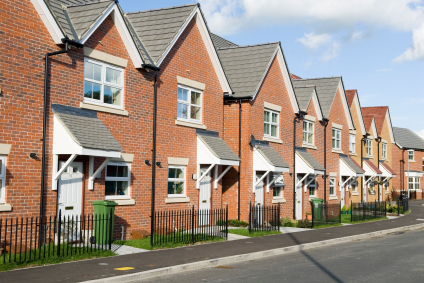 How can I find a home to buy using a shared ownership scheme? If you're in the market for one of the desirable new homes on a modern estate, why not use the internet to help you land your dream house? For instance, there are websites that list new builds that are eligible for purchase using a shared ownership scheme and you can register for alerts so that you're always at the front of the queue for viewings and purchases. You can also contact your local housing association to find out which properties are available under shared ownership.